This entry was posted in Fall 2018 by cropokis. Bookmark the permalink. There are so many objects and artifacts like this in the world that are separated from their homes and peoples in violent histories. I wanted to know if you could talk about how the history of colonialism and British colonialism effects the current state of British museums. History of colonialism is sometimes left out of the discourse when talking about repatriation, and it’s so important and essential to look at that source of power in these situations! When you enter a museum, it would be a mistake to disregard the past behind its formation and the origin of its objects. As mentioned by others time and time again, it’s impossible for museum visitors from colonized countries to not be faced with the tragedies of colonization in their countries’ pasts as soon as they step foot into the building: artifacts, statues, paintings, and rich cultural history that have all been ripped away from their home country only to be put up for display across the world in a museum that could care less to even get the names of their creators right. The British Museum in particular describes itself as a public institution “promoting learning and cultural heritage awareness.” If this were the case, all of the artifacts from colonized Asian countries would be given more care and thought, especially in correctly labeling them and not giving a public statement stating “sometimes Asian names can be confusing—so we have to be careful about using too many” (Awan 2017). If the purpose of such museums is to educate, why gloss over the extensive history of colonization that created these museums in the first place? 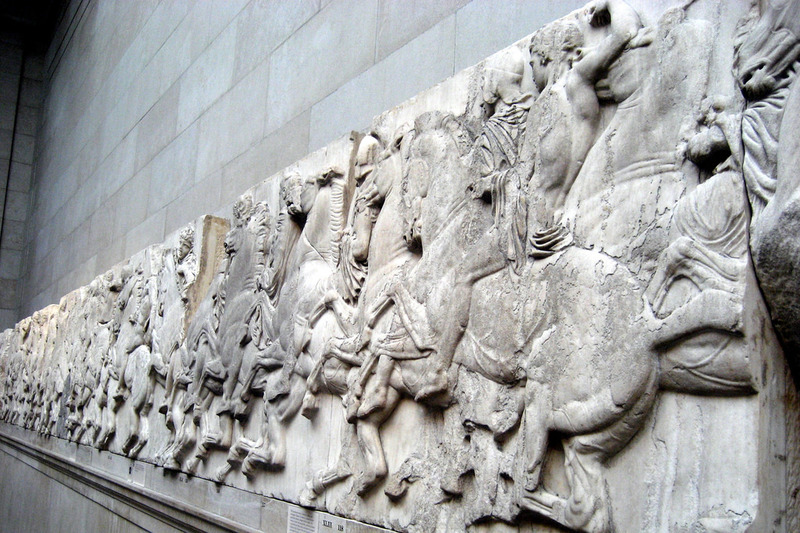 Great Britain’s failure and repeated refusal to return culturally, historically, and religiously significant artifacts that were essentially stolen from Greece, Iraq, Egypt, India, and so many other countries “prioritizes the rights of the colonizer to keep illegally acquired artifacts over the rights of plundered nations to their cultural property” (Izzidien 2018). The amount of controversy and the ongoing fight surrounding the return of illegally obtained goods from former colonial countries all over the globe perpetuates the “continued promotion and defense of colonialism” (Izzidien 2018). 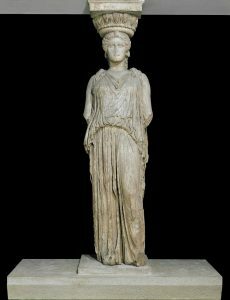 2017 The British Museum gleams with stolen riches from its colonial past – but Asian names are too ‘confusing’ for inclusion. Independent. Electronic document, https://www.independent.co.uk/voices/british-museum-tweet-twitter-row-asian-names-confusing-curator-colonialism-a7946431.html, accessed December 13th, 2018. 2018 Stolen goods: Britain’s museums must hand back colonial plunder. Middle East Eye. 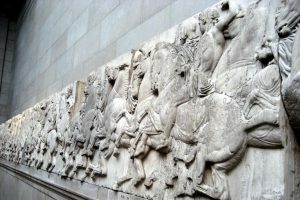 Electronic document, https://www.middleeasteye.net/columns/museums-should-be-accountable-promoting-colonial-legacy-1667924530, accessed December 14th, 2018.